yesterday mas asked me if my blog was dead. i replied with a very convincing NO (or at least i thought it convincing) and he continued to look at me in that doubtful way. to which i had to reply with too many words about my feelings regarding the world today and our grim housing situation (it's gotten bad guys but i am still holding out hope that it will all work out in the end). so yes, i spent the last couple of days in a black hole of self-wallowing ... and yes, i figured it was better to leave the blog out of it, because it is after all a place for my pretty things ... and yes i am sorry for disappearing, but you should know, the blog is not dead, it was just on a brief break. 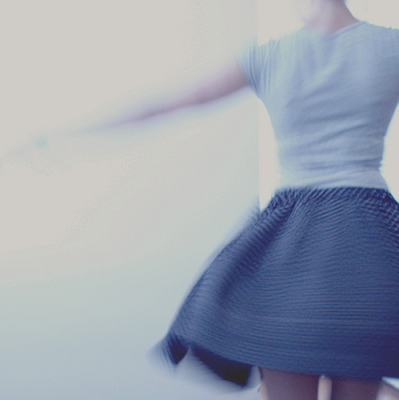 to make everything better i am going to spend the rest of my day twirling and then the posts will come. we miss you! hope everything is OK! It's summer... let those creative pieces grow and harvest them in fall. What can I say? I'm a ppp fan. Mwah. Take your time. *We* didn't think it was dead (though I approve of Mas proding your creative side).